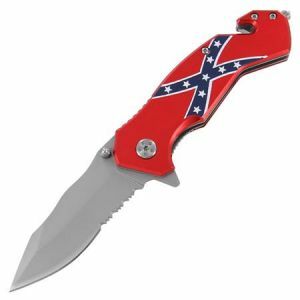 The South Will Rise Again Tactical Spring Assist Knife sports a drop point style satin finish blade with a partially serrated edge and features an ambidextrous thumb stud on each side of the blade. The blade is cut with a wavy design on the spine that adds a unique style that is ready for action. To add a touch of patriotism a ribbon of stars is etched on the blade. 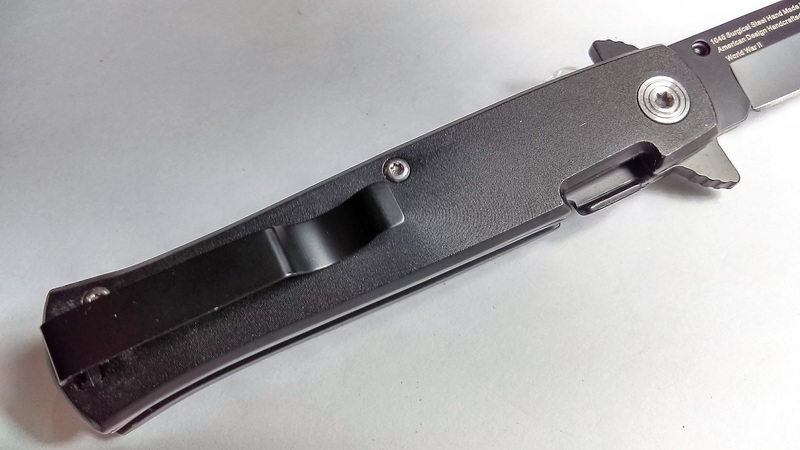 This blade opens solid with the liner locking mechanism. Just assist the blade 45 degree and watch it springs into action. 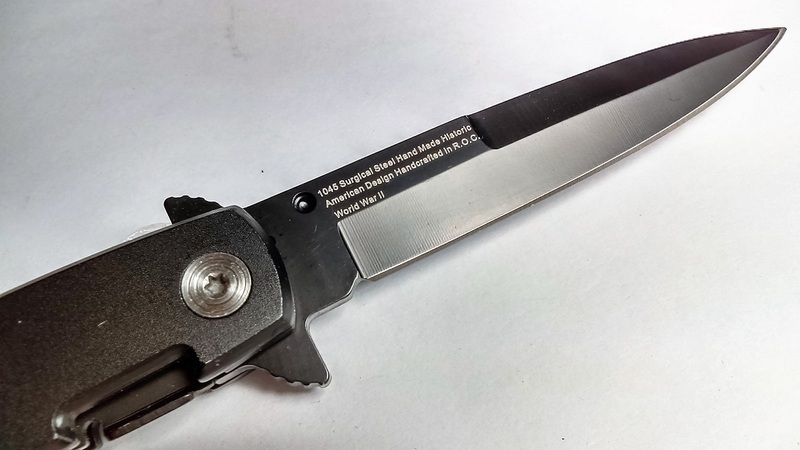 This knife offers a sleek aluminum handle with double wall reinforcement. A Confederate Flag adorns the red metallic handle. It has a beautiful finger curved on the belly of the handle which makes a better grip when using. The pommel includes an emergency glass breaker which can break any tough glass in case of an emergency. Another great emergency tool accompanying this item is the seat belt cutter which comes sharp and ready for emergency use. Use the flipper on the handle to assist this knife with a smooth opening. 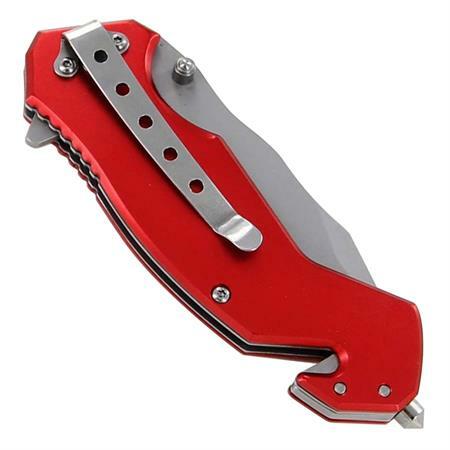 It comes complete with a pocket clip for easy accessibility to your knife.